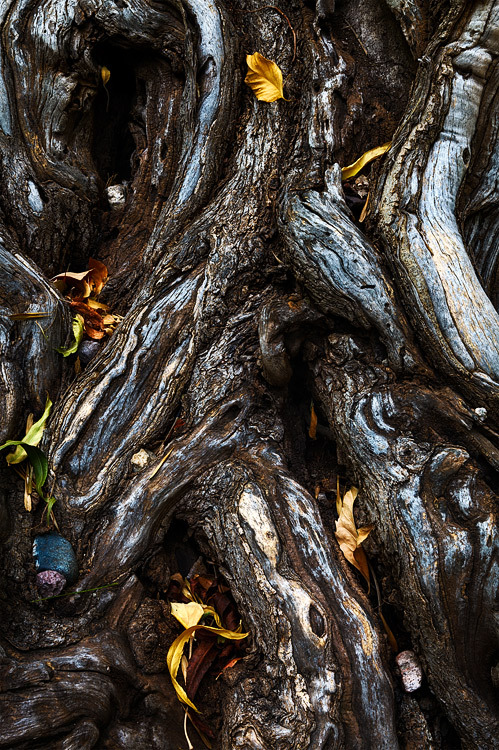 An intricate examination of a gnarled and twisted tree with nestled rocks and decorated with fallen leaves. Captured in one of the Superstition Mountains most riprarian canyons. Photo © copyright by Michael Greene.